This is the place . . . Swoope. I wrote a book about it . . . Swoope Almanac, Stories of love, land, and water in Virginia’s Shenandoah Valley. Meadowview, our home in Swoope. 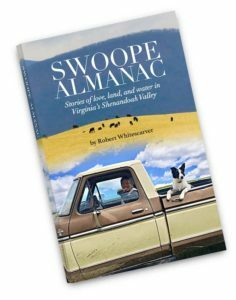 Two years in the making, Swoope Almanac, Stories of love, land, and water, in Virginia’s Shenandoah Valley is now available for pre-sale at SwoopeAlmanac.org. The limited, numbered, signed, hardback-edition can be ordered now. Buy a book, Conservation Services, Inc. will plant a tree in your honor, and the Chesapeake Bay Foundation will give you a free membership. Copies will be mailed starting on Earth Day 2019 (April 22). Here’s the press release from The Downstream Project. This non-fiction almanac is about a ninth-generation cattle farmer (Jeanne) who marries a soil and water conservation geek (me). She wants more grass, I want more buffers. Turn the pages of this fun read to find out how that worked out. 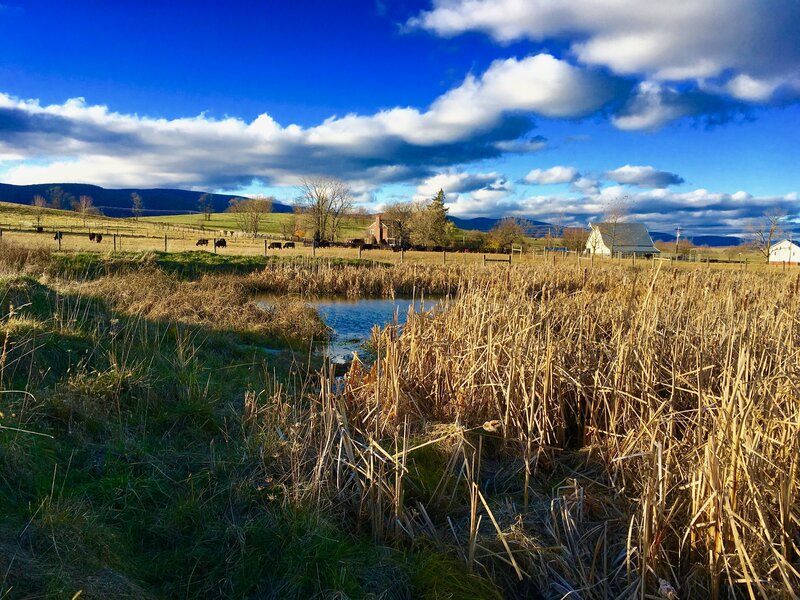 The almanac takes the reader through the seasons on a working farm. There’s a whole chapter on my favorite subject—riparian buffers! And there are calls to action—such as carbon farming and un-needed, un-wanted fracked-gas pipelines. Other subjects include cats, fescue, swallows, and shrikes. I had a lot of help with the book. Betty Gatewood, Roni Freeman, and my son, Neal, illustrated the book with great line drawings. 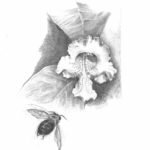 Here’s one that Roni drew of a Catalpa bloom guiding a bee into the sweet spot. This book was made possible by a generous grant from the Campbell Foundation for the Environment and George Ohrstrom II. Many others helped including Nancy Sorrells, publisher; Jennifer Wood, layout; Libby Howard, copy editor; Bill Howard, mentor and website development; Bern Sweeney, Stroud Water Research Center; Keith Campbell, mentor; and Bob Schreiber at Mid Valley Press. And so many more, thank you. 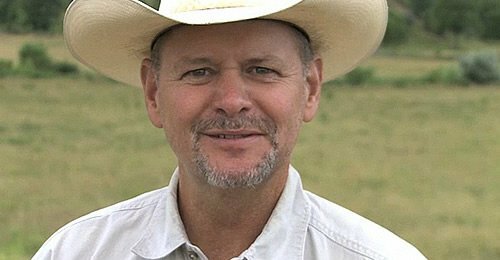 Bobby Whitescarver, author, educator, farmer. Ordered the hard cover at 6:00am. Looking forward to it!! Thank you, Roger. I hope you enjoy it. Thanks, Dusty. Hope you are doing well. I miss you and your reporting. Looking forward to reading your book. I have always enjoyed your blogs and admire your passion for clean water. So proud of your achievement Bobby–I’m heading to Black Swan Books on Wednesday and will try to set up a signing event for you. This is a huge freakin’ thing amigo! Bobby. I am book review editor for the Augusta History Bulletin which Nancy edits. Can I borrow a copy of your book to write a review? Verna, thank you so much for your kind words and for buying the book. I don’t know how you do it either. Your leadership has accomplished so much for the Chesapeake Bay and for many other watersheds. Of course! Are you able to click on the link in the in this post? I’ll send you an email with the link as well. Good to hear from you. Congratulations, Bobby, on such a fine achievement! I cannot wait to read your book. It is going to be a great Earth Day 2019. I enjoy your blog posts and know that your book will be insightful, informative, and witty. Thanks for being so passionate about life. Your enthusiasm is contagious. Thank you, Shane. You and Heather are in the book! Hi Bobby, I can’t wait to get my hands on a copy! I just sent an email to WMRA, suggesting that they recruit you for one of their Books & Brews events! I hope they do. Laurel, thank you for your kind words and for the shout out to WMRA.